Copper Clad Steel wire (CCS) is a composite in which highly conductive, corrosion-resistant copper cladding is metallurgically bonded to a strong, durable steel core through a continuous, solid cladding process using pressure rolling for primary bonding. The copper cladding remains at constant thickness surrounding the steel and comprises a small minority of the overall wire diameter, but yields a conductivity substantially greater than that of unclad steel. Copper Clad Steel Stranded conductors are used in place of copper conductors in grounding applications and systems. 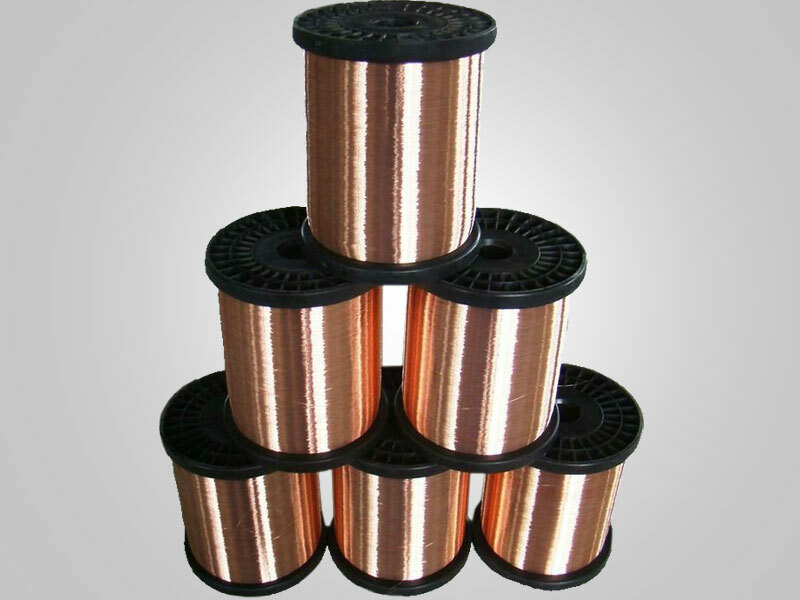 The size and construction of the Copper Clad Steel conductor is generally selected by matching the approximate diameter equivalence to a copper conductor. Please note that the ampacity rating and the dc and ac resistance of the Copper Clad Steel wire conductor is not equivalent to that of the copper conductor. It is mainly used for grounding purposes, drop wire of telephone cables, and inner conductor of coaxial cables, including thin hookup cables like RG174, and CATV cable. ►CCS wire is an extraordinary conductor that provides benefits that neither metal can provide alone. Because the bulk of the current travels along the wire's skin, it is ideally suited for high-frequency applications. ►Stranded DSA Copper Clad Steel conductors are used for buried ground grid systems where a more economical alternative to copper conductors is desired. ►For Utility Applications, Copper Clad Steel is used in substation and generation plant ground grids; grounding of metal fences; and in building and structure lightning protection systems. ►Copper Clad Steel is tough to cut and unlike copper conductors has virtually no scrap recovery value thus reducing the potential of theft or vandalism of the grounding wire.